Should I offer dental insurance to my employees? Should I offer dental insurance to my employees? Why Not? It is relatively inexpensive to include dental benefits in an employer’s benefits plan, and it may help the employer attract and retain highly skilled employees. Because dental hygiene is associated with overall health, employees with dental plans are often healthier. Employees without dental benefits may postpone or forgo dentist visits in order to save money, and as a result, they can end up with more severe health problems. This may cost an employer more in the long run than if dental benefits were offered. Various types of dental plans are available. An employer should select one that fits its budget and meets the needs of its employees. Besides traditional dental insurance plans such as managed care and fee-for-service, consumer-driven dental plans—like dental flexible spending accounts—are becoming more popular. Employers who are concerned about the cost of offering dental benefits may consider sharing the cost with employees through deductibles, coinsurance and by setting maximum amounts that the company will pay per individual in a specific time period. When designing a dental insurance plan, aim for a plan that is cost-effective and valuable to the company and its employees. The decision to offer dental benefits is a business decision. Employers should consider their cultures and values as an organization and whether such benefits can help attract and retain valued employees. While dental benefits are an added expense, consider that offering these benefits may save the employer money over time. 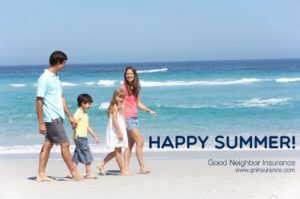 Good Neighbor Insurance provides individual and family dental plans as well as group dental plans. Check us out at dev.gninsurance.com or email our agents at info@gninsurance.com. Or call us at 480-633-9500. Blog Home > News And Helpful Links > Should I offer dental insurance to my employees?